Dinner party hosting is one of my most favorite things to do in the world, no matter what country or city I’m in, I just love inviting people to share a meal with me. Cooking for friends, family (and sometimes strangers!) 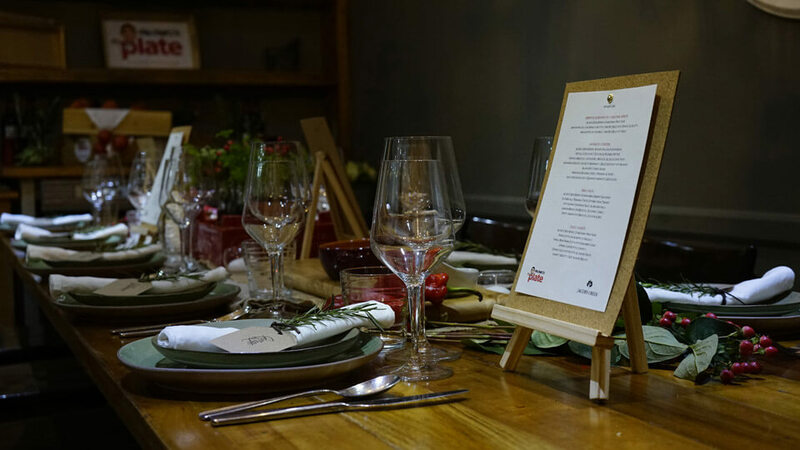 brings me so much HAPPINESS so can you imagine how I felt when Jacob’s Creek recently asked me to host a dinner party on their behalf? Working with such a fantastic and well-known wine label that spans generations of winemakers (after starting way back in the 1800’s!) 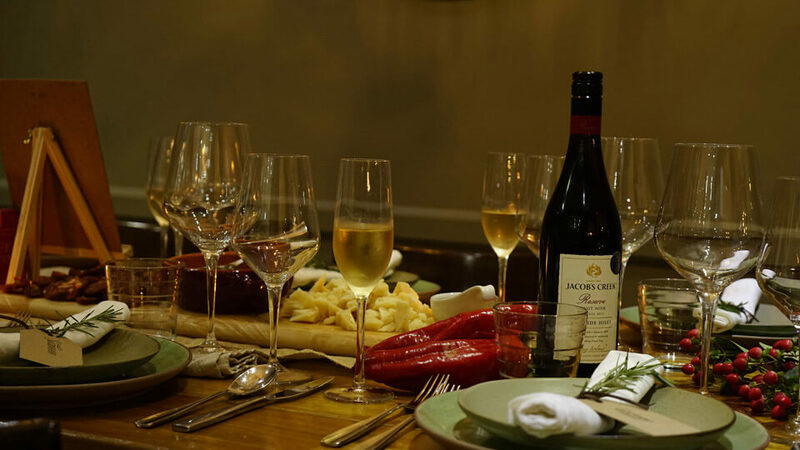 made me a little bit nervous as I prepared for the dinner party deciding what the right dishes would be to pair with a perfect drop of the Jacob’s Creek Reserve range. In the end I decided to go with my heart and served up an Italian food feast made up of DELICIOUS dishes that all have a special story to tell. I believe that when I get to cook with my heart surrounded by people who appreciate flavours and traditions as much as I do, that I produce Italian cooking at its best. There were ten of us in total at the dinner party, including my wife and my parent’s in law and we even got to host the dinner at yummy Bistecca, a hot spot Sydney’s inner-west owned and run by Frank Angilletta, an inspiring restaurateur who has been in the business for over 20 YEARS! So many stories were shared over every meal that night and I really wish I could have invited many of you to eat with me at my table – there was definitely enough food for many more people! 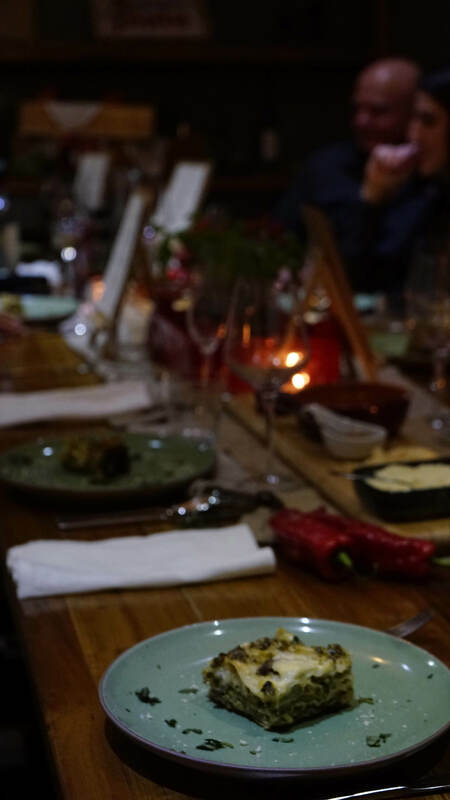 I am really proud of the dishes I served on the night so have shared the menu and the story behind each dish in a blog post here – but BEWARE, your mouth might start to water because every dish was SENSATIONAL! To top off the night, I was lucky enough to have my wife by my side and she loooves decorating so she set up the table a little bit Tuscan style with lots of green herbs, red vegetables and glass jars. 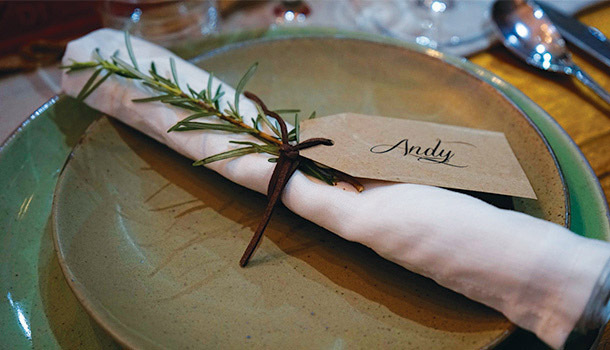 Everyone even had individual name tags tied around a napkin using a piece of leather and a sprig of rosemary, topping of the setting and making them all feel extra special. 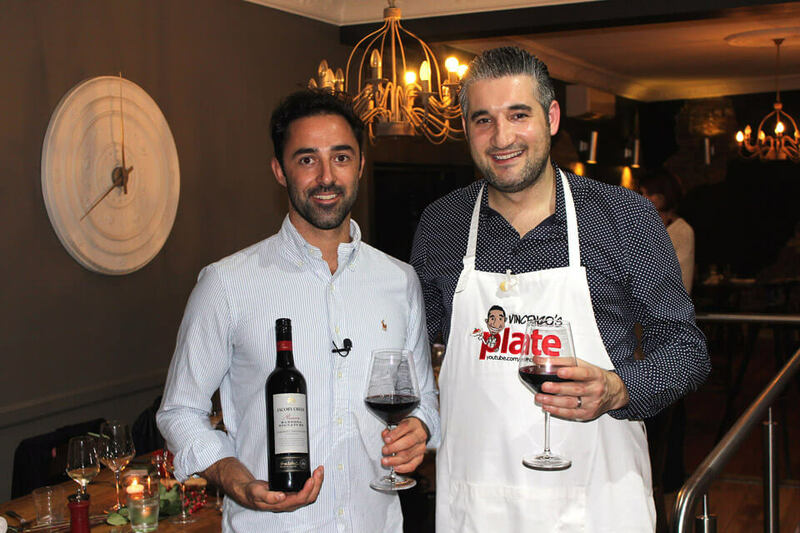 When hosting a dinner party, the most important ingredients to include, are not only the ones that you put in your dishes but also the atmosphere you create and the wine you accompany with each meal. Our night was filled with great food, lots of laugher and even new friendships so I couldn’t be any more grateful. 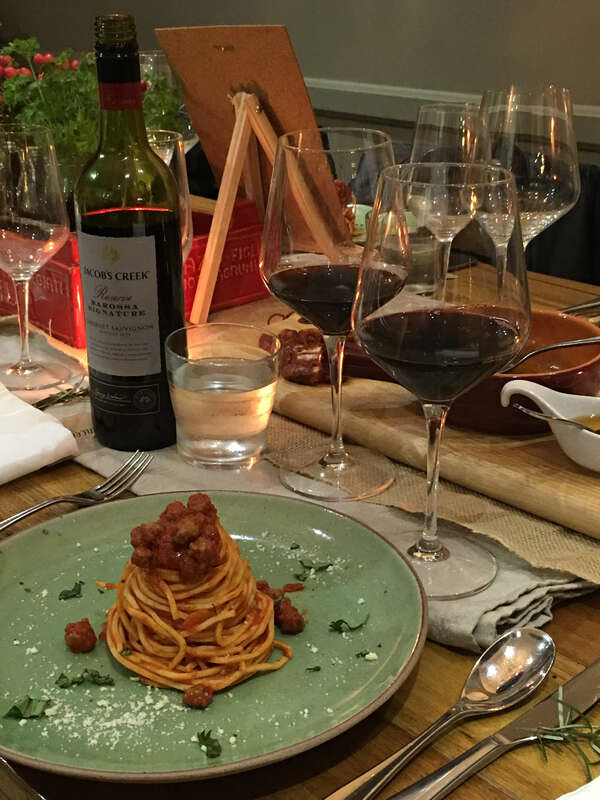 What are you going to serve at your next dinner party? Can I come? George from the Instagram Account @sydneyfoodcrew for the amazing photos. THANK YOU very much to Tim Beech for taking more photos and helping us during the dinner party.